Serena Williams Cartoon: Mark Knight's caricature shows a butch and fat-lipped Serena Williams jumping up and down on her broken racquet at the US Open. An Australian cartoonist has come under withering criticism for portraying tennis superstar Serena Williams using -- what Harry Potter author JK Rowling described as -- "racist and sexist tropes". 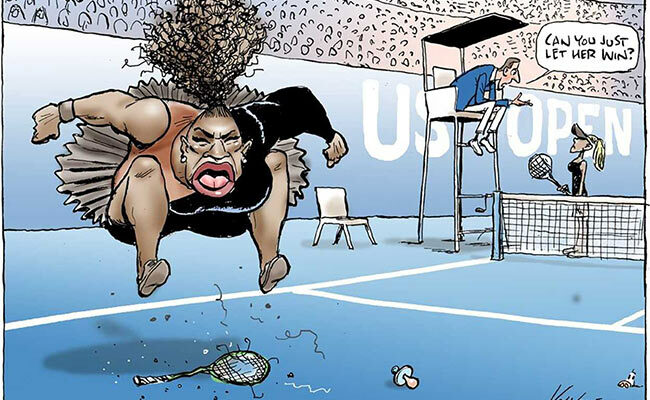 Mark Knight's caricature, published in Melbourne's Herald Sun newspaper on Monday, shows a butch and fat-lipped Williams jumping up and down on her broken racquet at the US Open. Williams' heated exchanges with an umpire at the tournament final this week have stirred the tennis world. 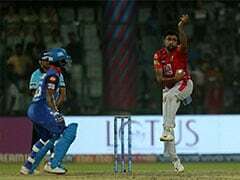 She was found guilty of code violations and fined US$17,000 -- raising allegations that there are double standards for male and female players. 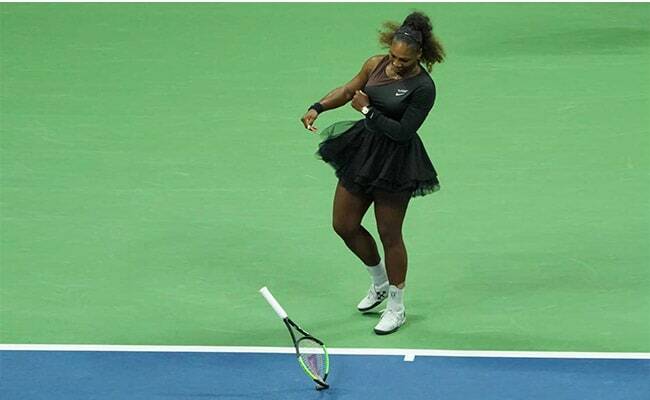 Williams was thwarted in her bid for a record-tying 24th Slam singles crown in losing to Japan's Naomi Osaka. The detractors included author JK Rowling, who said: "Well done on reducing one of the greatest sportswomen alive to racist and sexist tropes and turning a second great sportswoman into a faceless prop." Knight responded to the criticism by pointing out that he had drawn an unflattering portrayal of Australian male tennis star Nick Kyrgios "behaving badly". "Don't bring gender into it when it's all about behaviour," he said.